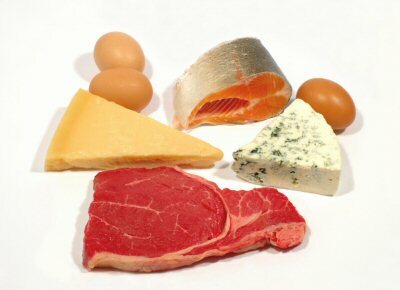 Protein is the one macronutrient that has the most praise from a health and fitness standpoint. It is marketed to help build muscle AND burn fat. If you browse any fitness magazine or related websites, you will find dozens of claims on how to most effectively ‘dose’ protein. Protein is no longer regarded as simply a macronutrient component of various foods, but rather it’s considered like a drug that needs to be dosed at specific levels and specific times of day. Do you see food or specific doses of protein? And there are likely more that I have missed. The point is that the issue of protein has become needlessly complicated. The specificity of dietary protein is largely overstated by the diet and fitness industry in an effort to sell elaborate and high priced protein supplement products. This isn’t to say that protein isn’t important for maximizing your muscle building and fat loss efforts because it definitely is. The real issue is separating the useful information from the nonsense. In today’s podcast, we’ll discuss the in’s and out’s of dietary protein and what you really need to know about it.